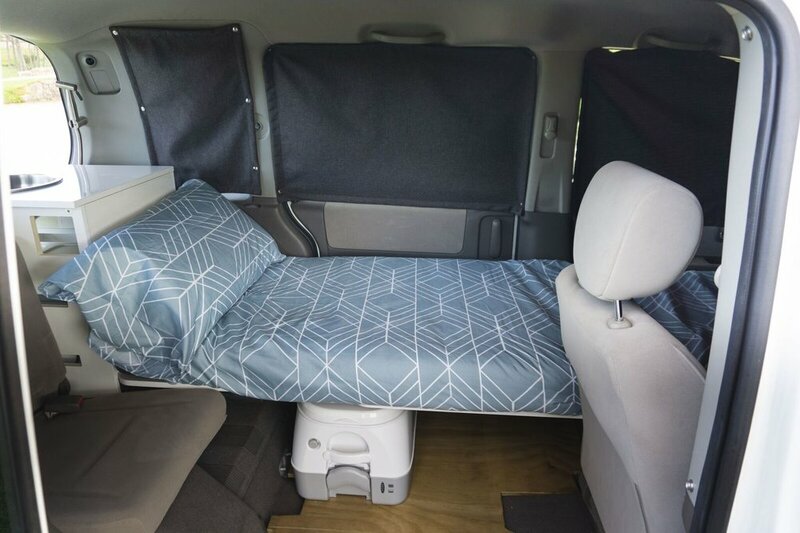 Comfort of a Camper. Convenience of a Car. 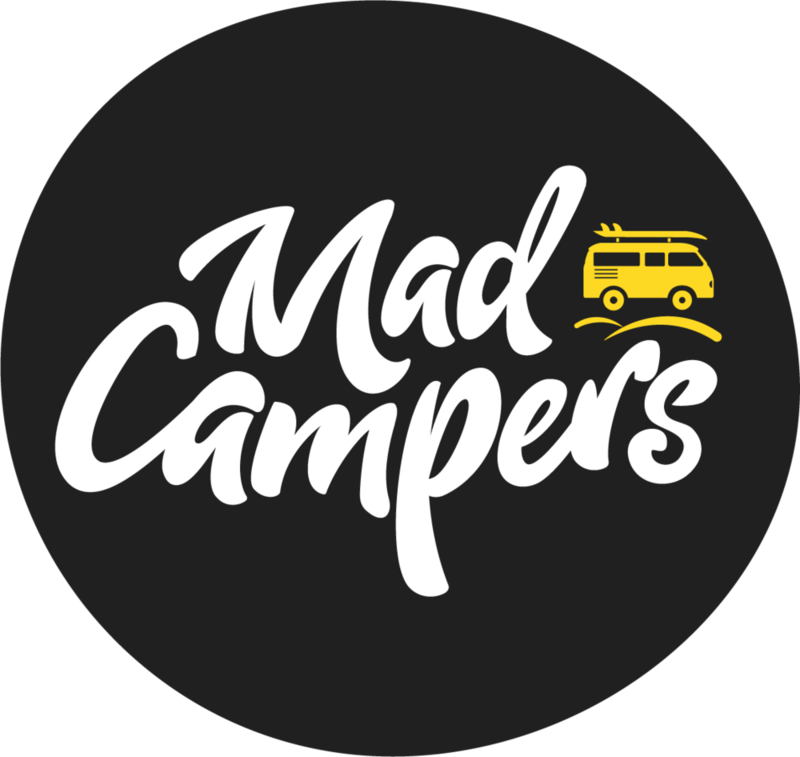 There are a multitude of reasons people choose to travel alone - and here at Mad Campers we respect them all. 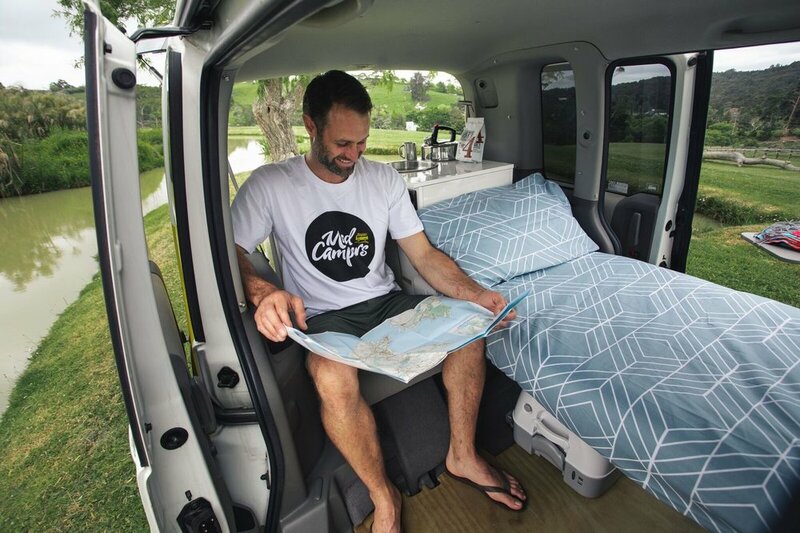 In fact we’ve gone a step further and created New Zealand’s FIRST single berth self-contained campervan especially for our solo adventurers! We get a real kick out of seeing our travelers head off on solo adventures, knowing you are in total control of where you go and how long you stay at each spot, who you spend time with - and how much time you choose to spend by yourself! And the money saved on daily rental means you can enjoy all the adventure tourism you want without breaking the bank. 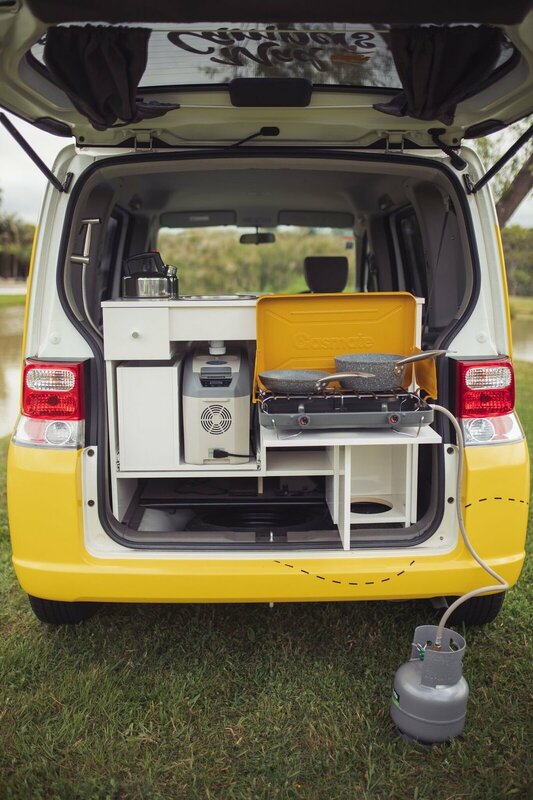 The MAD1 was designed to help you (the solo traveller) have a better vehicle experience whilst saving money AND reducing your impact on the environment. 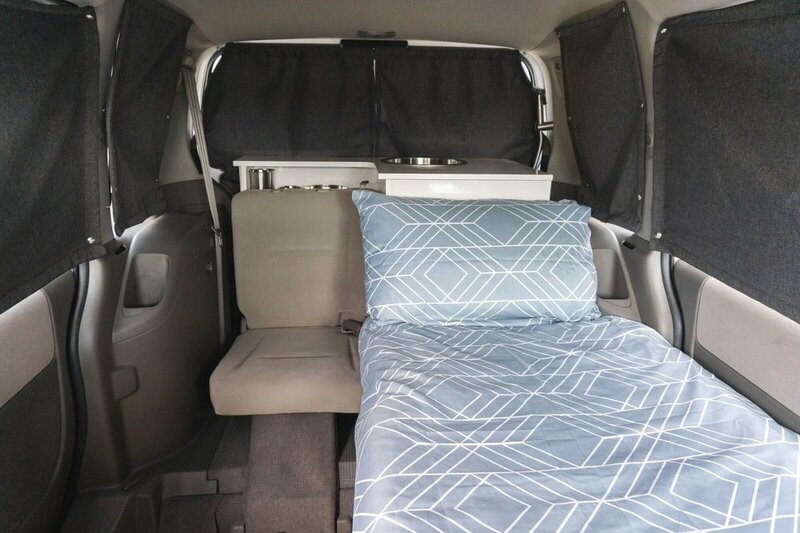 It allows you to travel in comfort at a much-reduced daily rate, in a vehicle that is easier to drive, far more economical - and has a lower carbon footprint than a van! Now there’s no excuse… go on, be brave and book your ADVENTURE today! Heaps of space! Relax in your 800mm x 700mm lounge. All MAD1’s have brand new batteries to minimise any issues out on the road! Super security! All our MAD1’s come with an alarm / immobiliser. 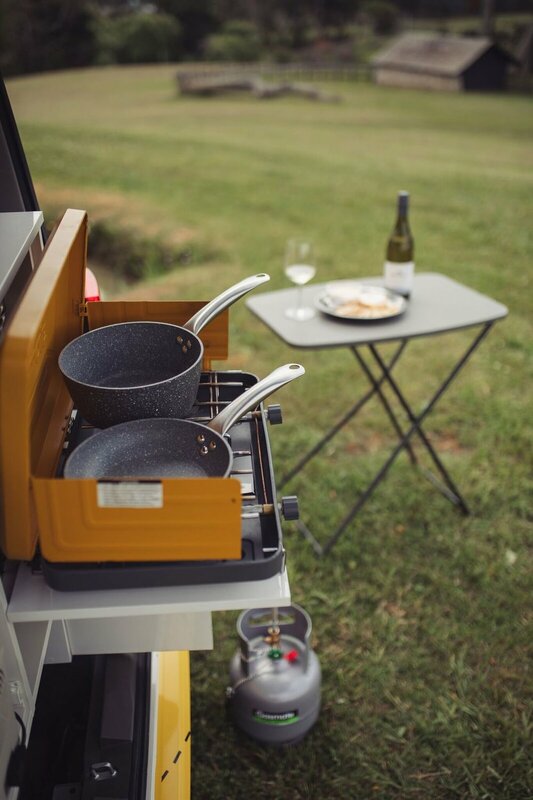 2 Burner LPG Gas Cooker - so you can whip up feasts out on the road! Book your New Zealand Adventure today! Our team are passionate about NZ and will give you the best advice. If you are searching for freedom, fun and an unforgettable adventure then contact us today!